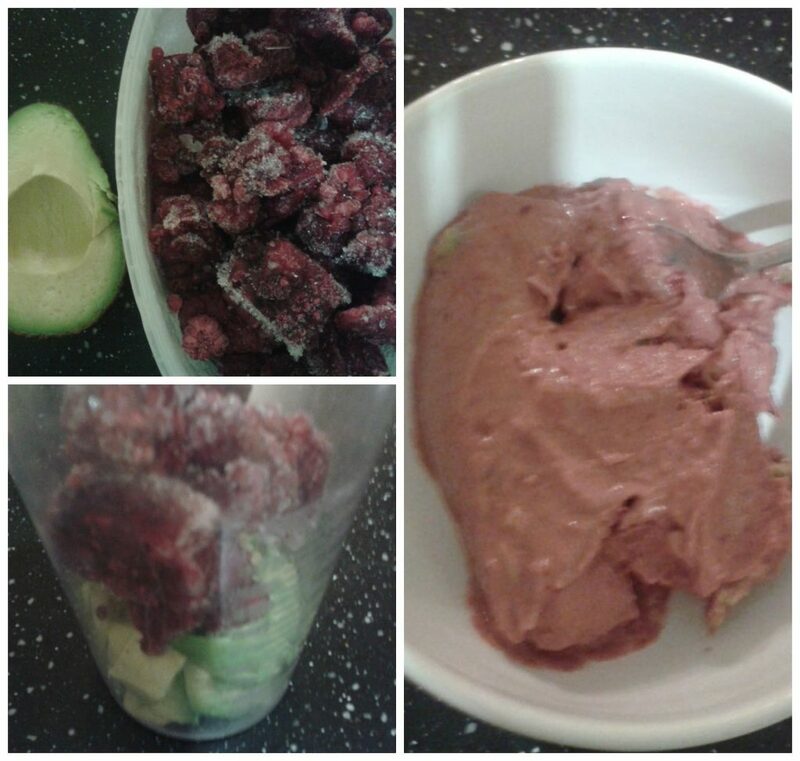 Although blitzing avocado with frozen raspberries may not be the first thing that comes to mind when you think of eating dessert, actually it tastes great (to my sugar free taste buds) and the taste of the avocado is hidden behind the raspberry flavour. The result is something which looks a bit like raspberry sorbet, but better (I think) as it is sugar free, packaging free (the way I did it) and great for anyone avoiding dairy like me! Blend them together and keep blitzing until you can’t see any green bits or any bits of raspberry – it should be a smooth mixture. I have tried using bananas instead of avocado and you can taste the banana, whereas as the avocado has a more neutral taste. I haven’t tried too many other variations yet but I will be at some point soon! This entry was tagged dairy free, eco, Food, Frugal, Green, plastic free, recipe, sugar free, thrifty, zero food waste, zero waste. Bookmark the permalink. ← The Guardian Sustainable Blogger of the week and other news!